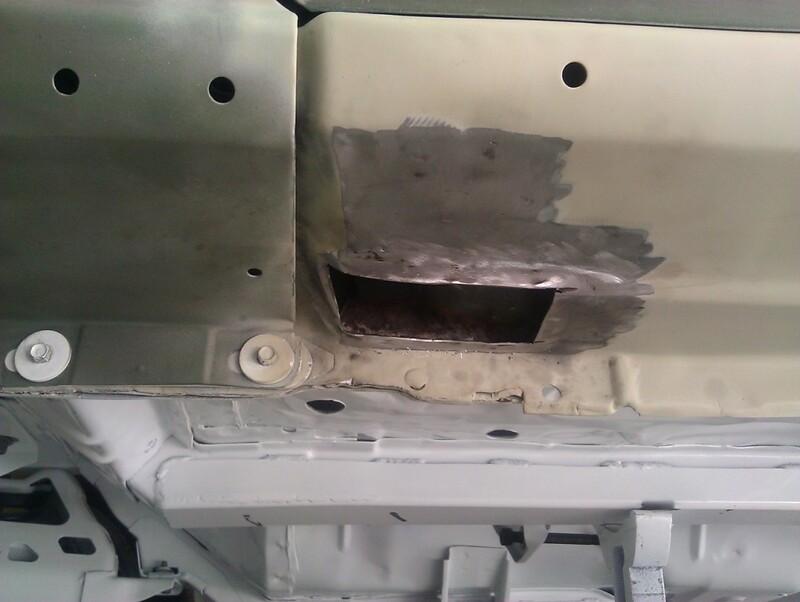 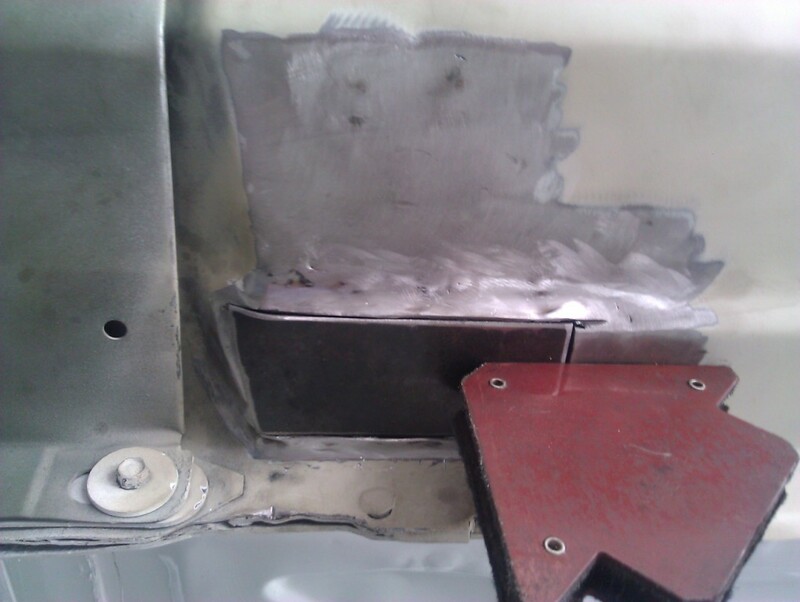 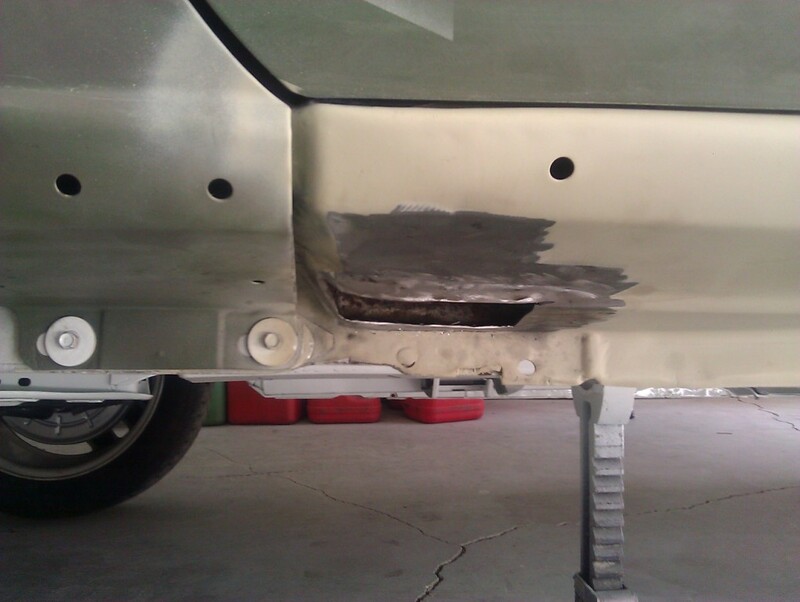 Both the drivers and passenger-side rocker panels have damage from improper jacking. 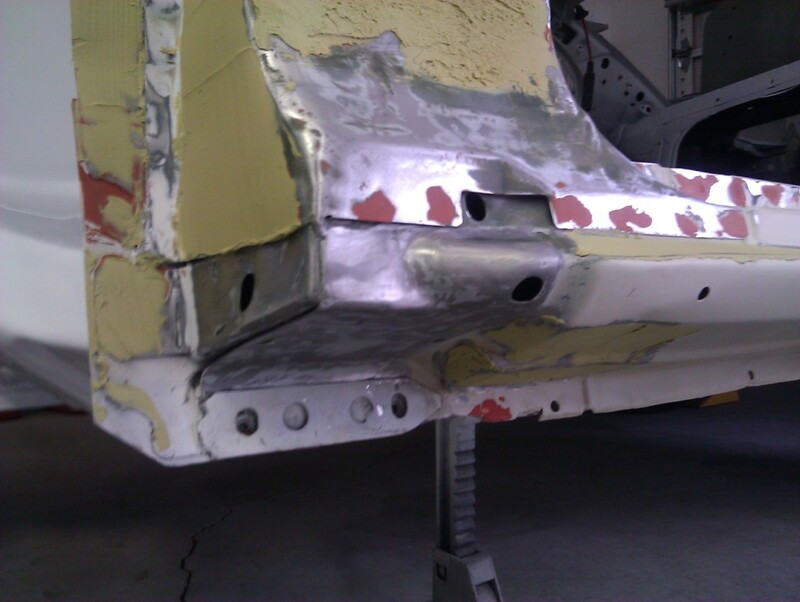 The drivers-side is limited to a collapsed area just behind the trailing edge of the front fender. 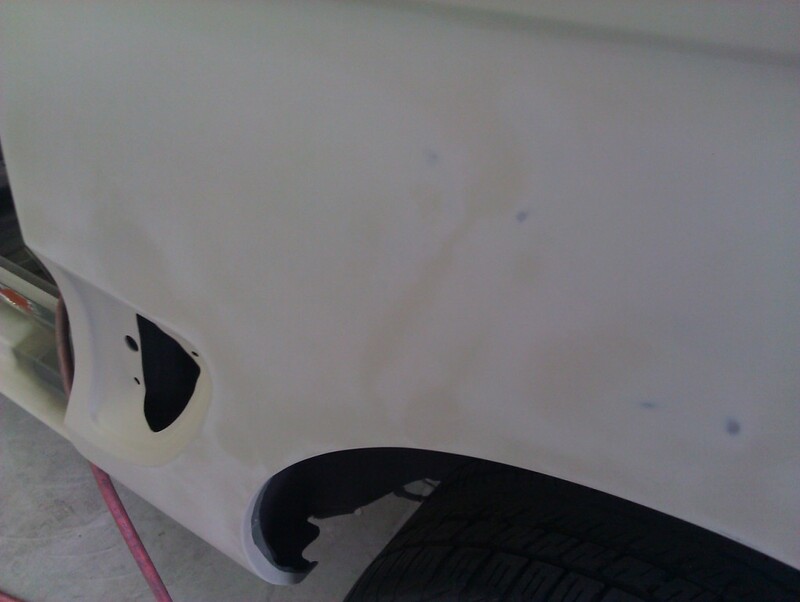 The passenger-side damage is more extensive. 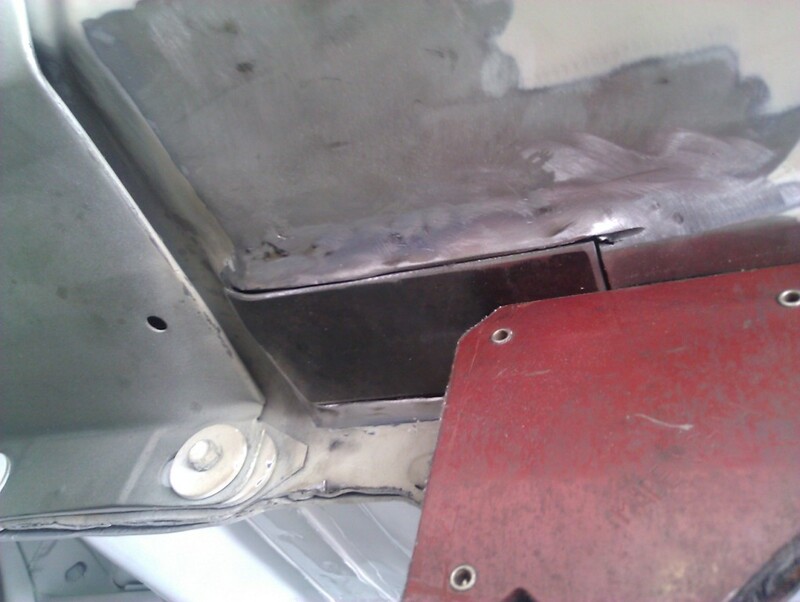 There is about a 3ft section directly under the door that is damaged. 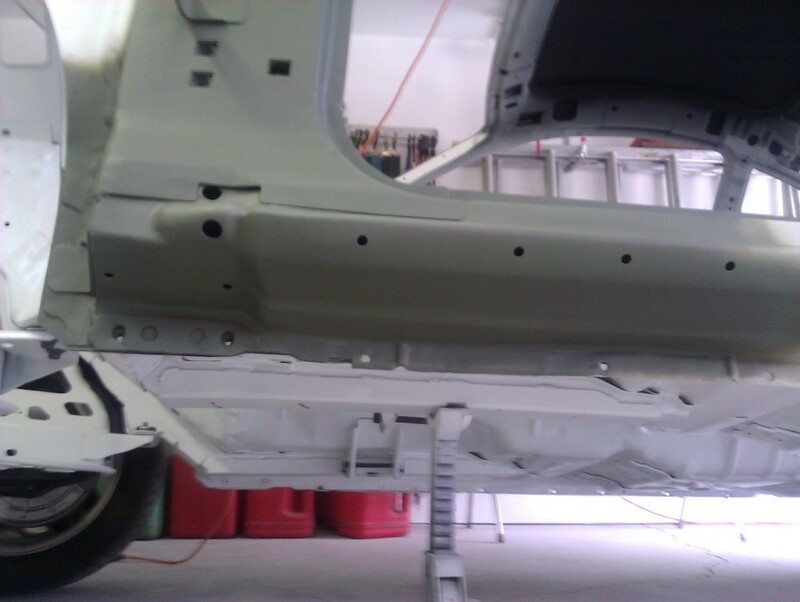 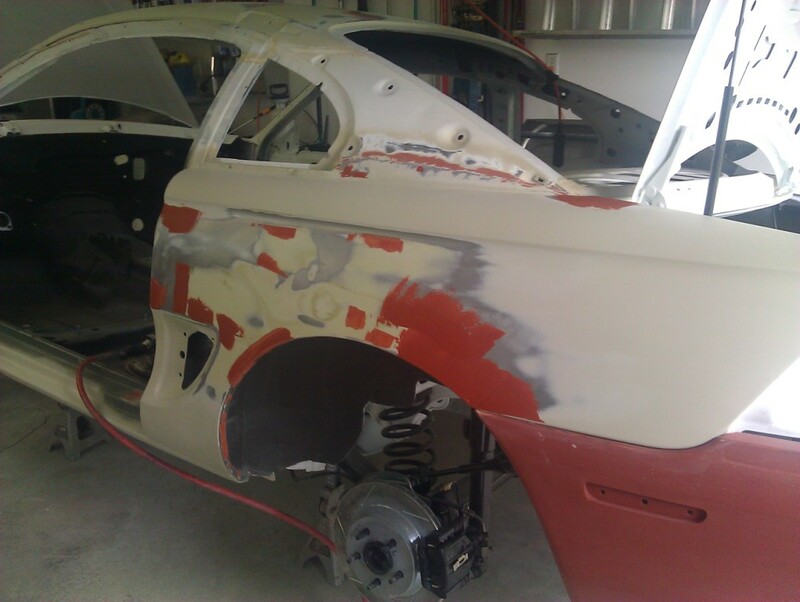 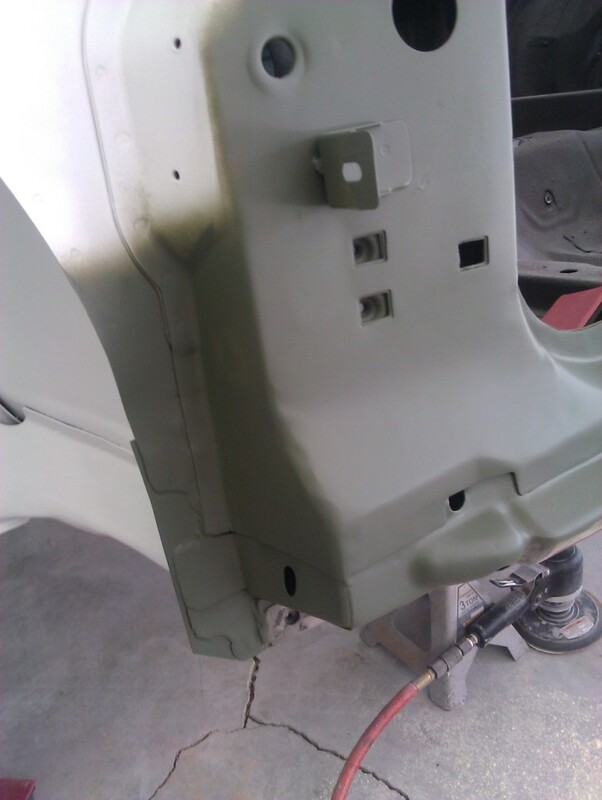 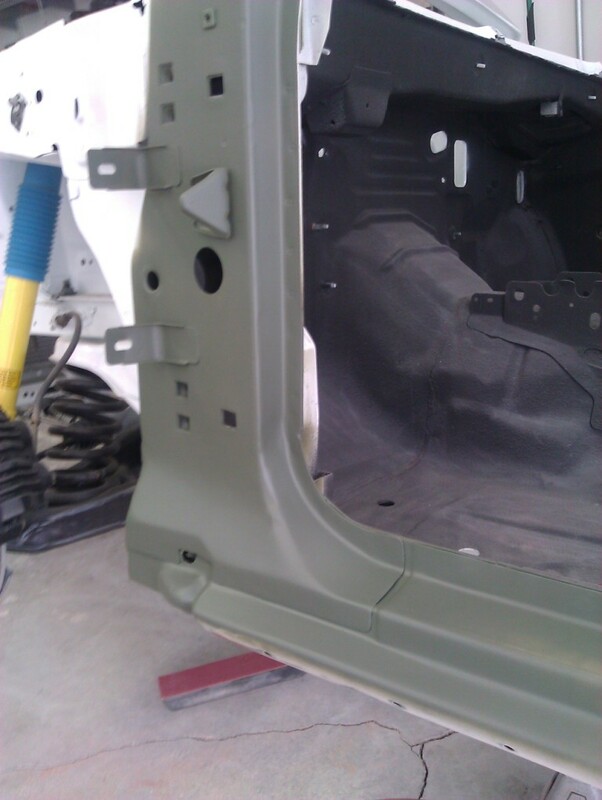 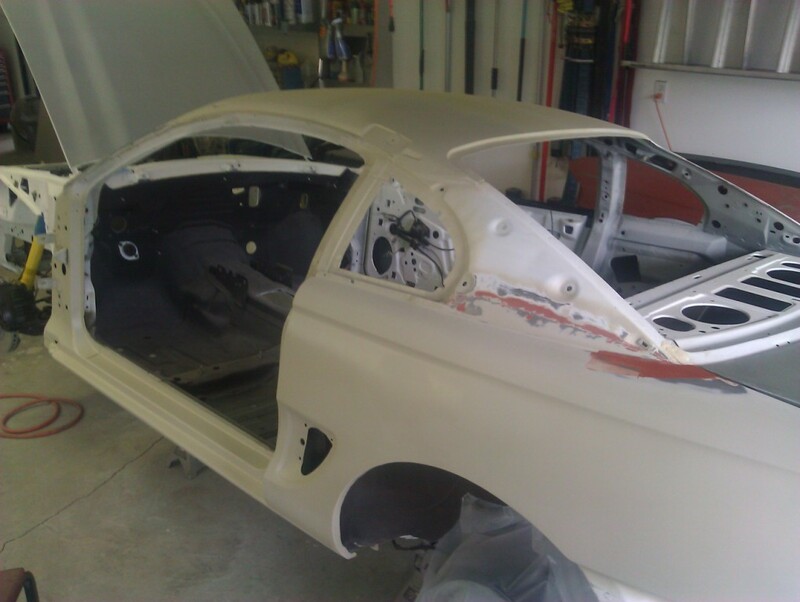 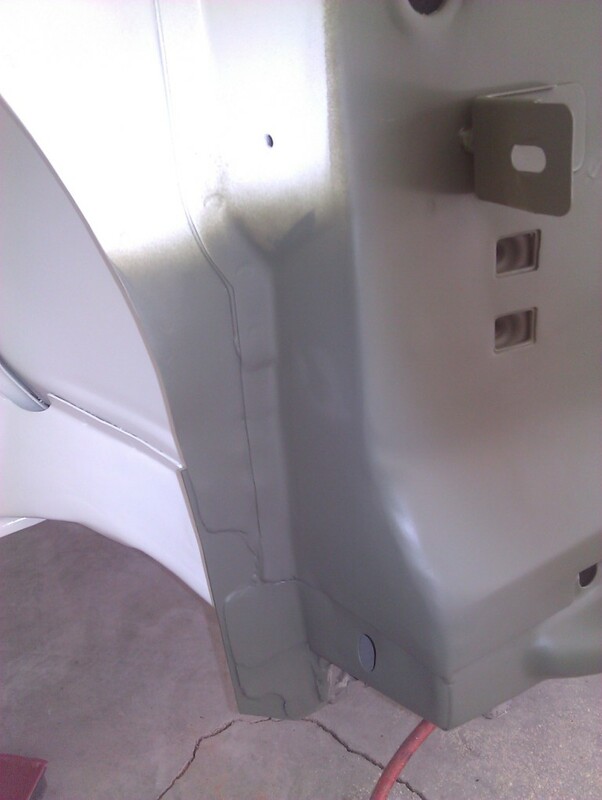 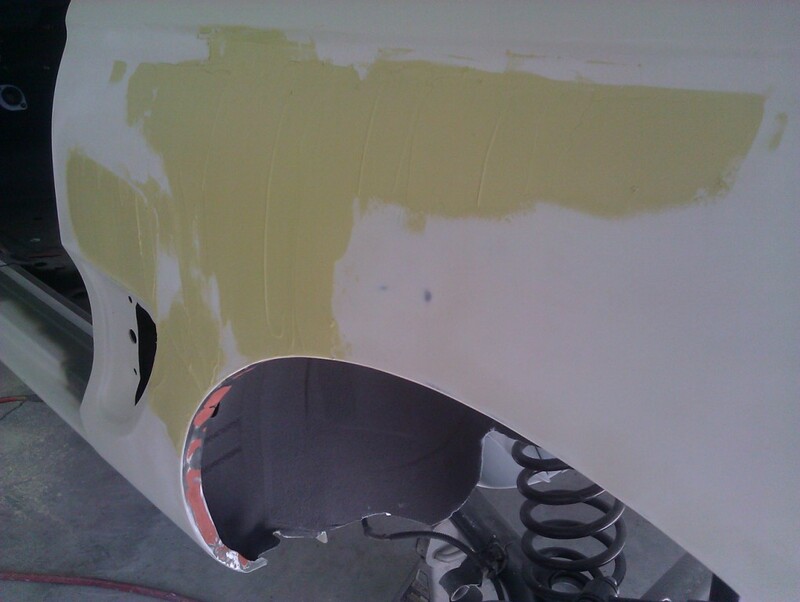 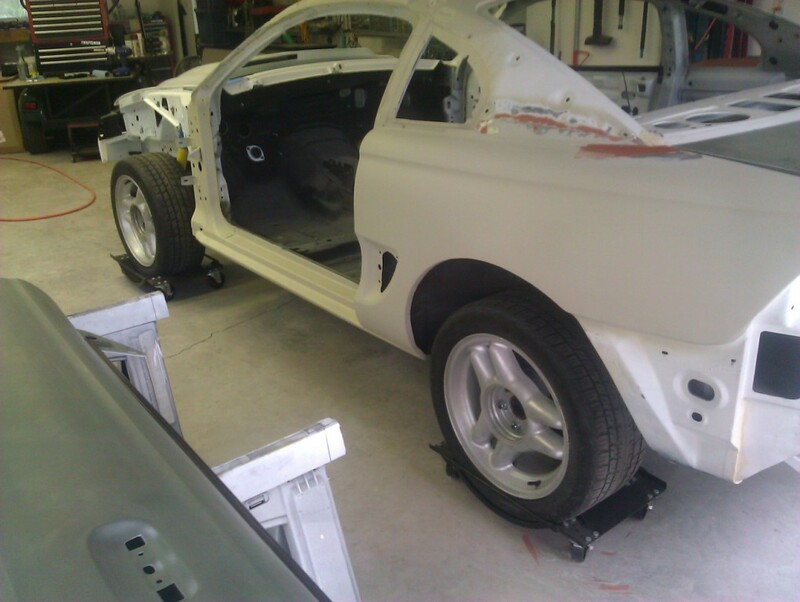 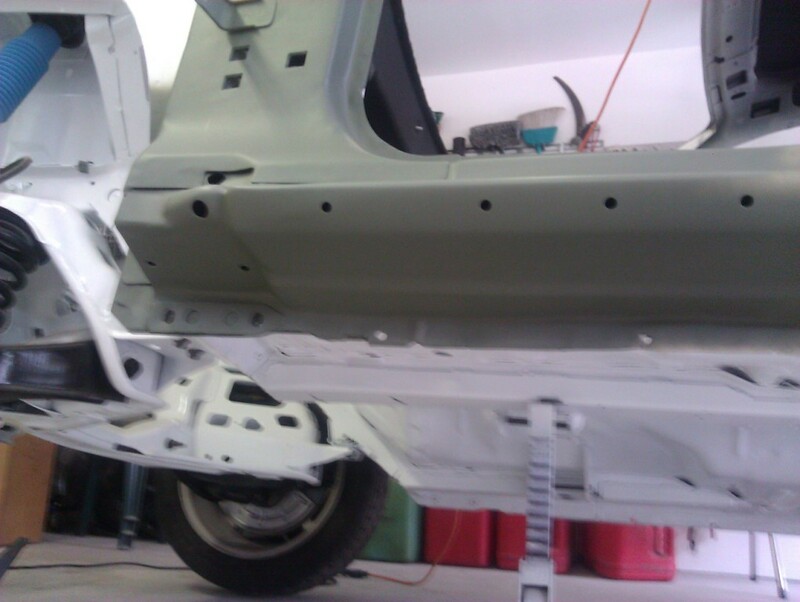 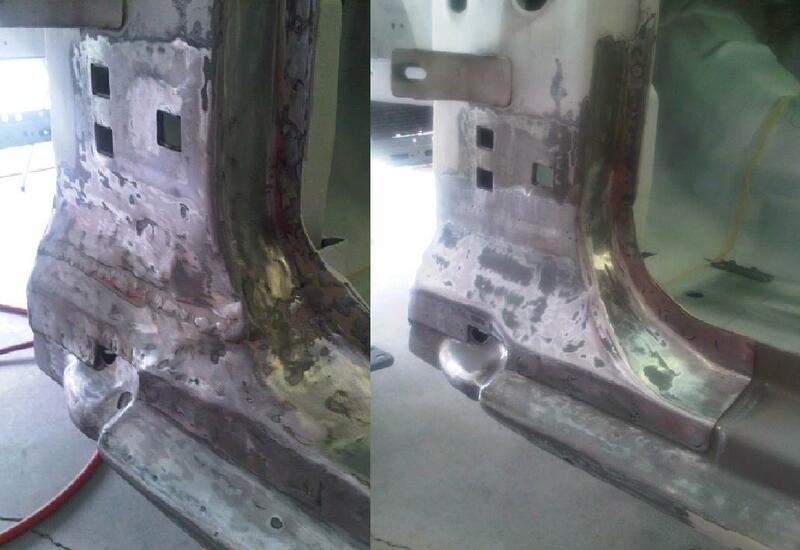 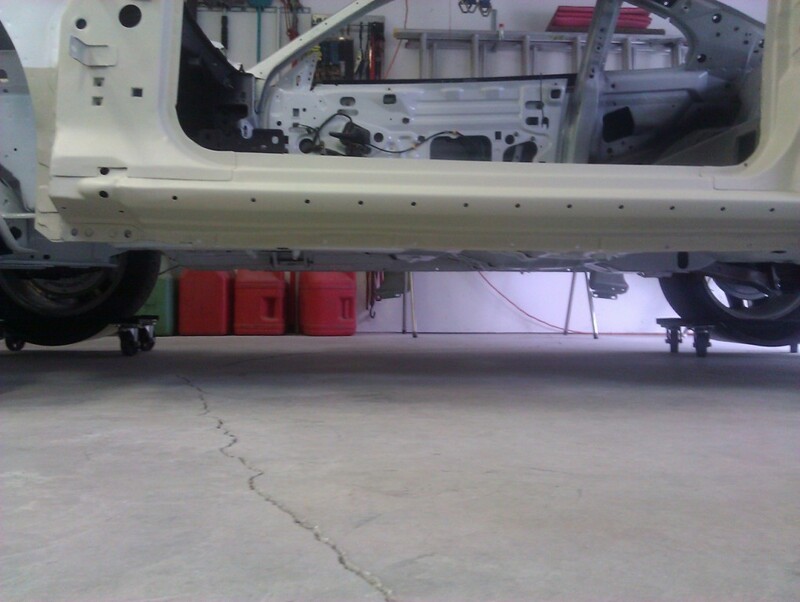 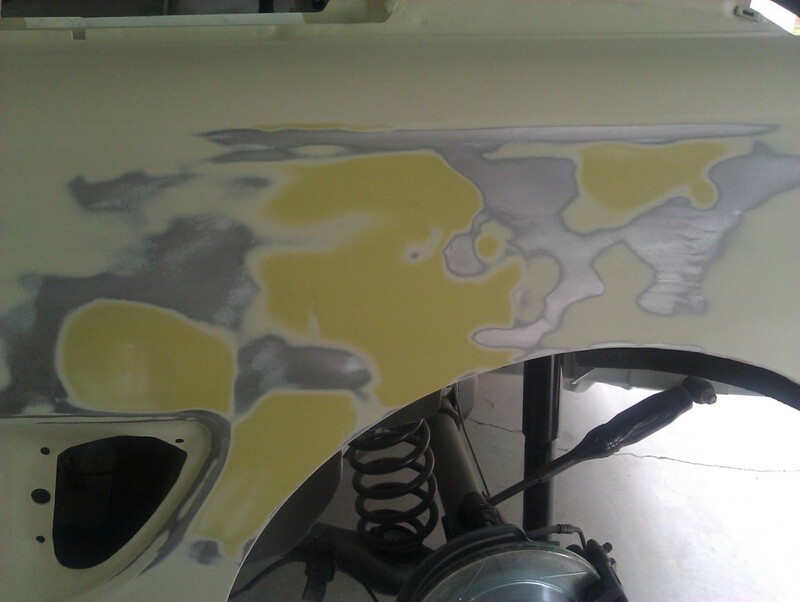 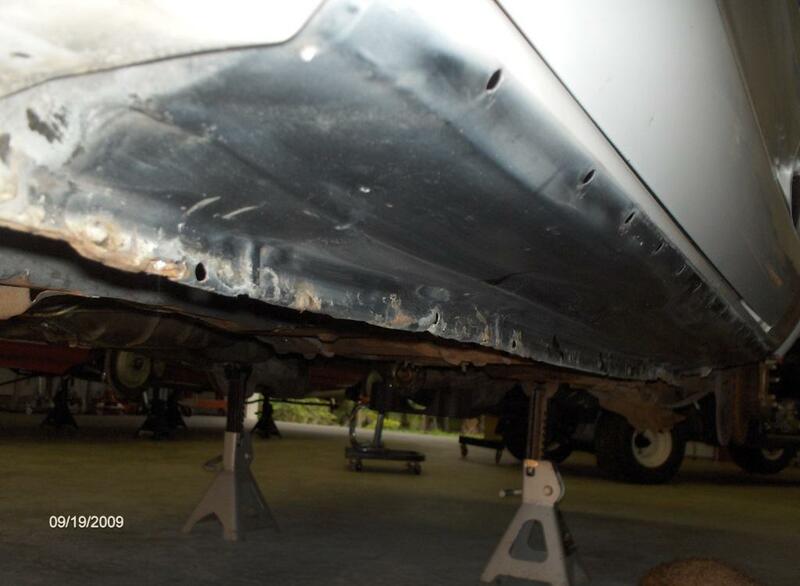 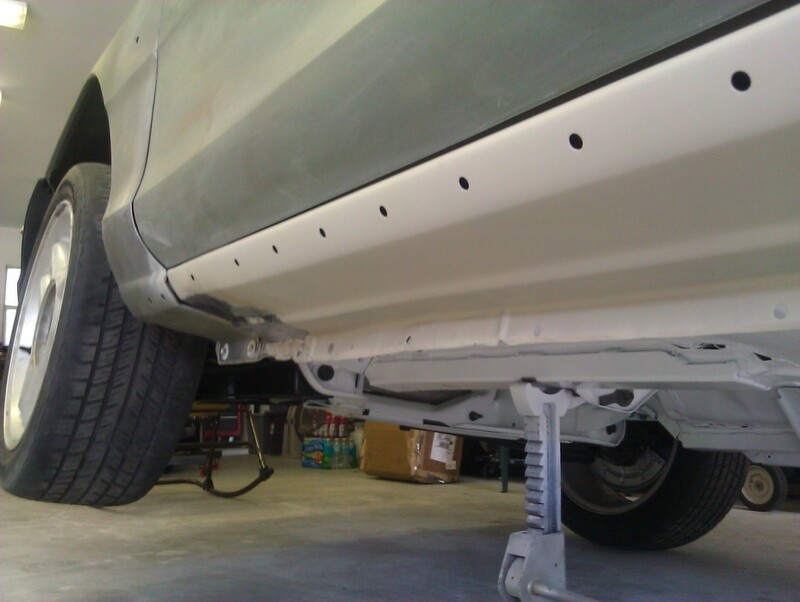 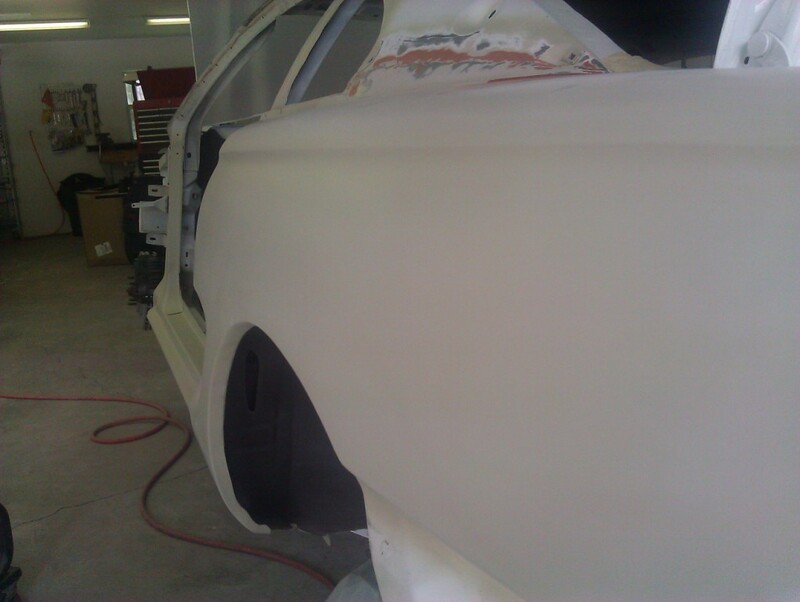 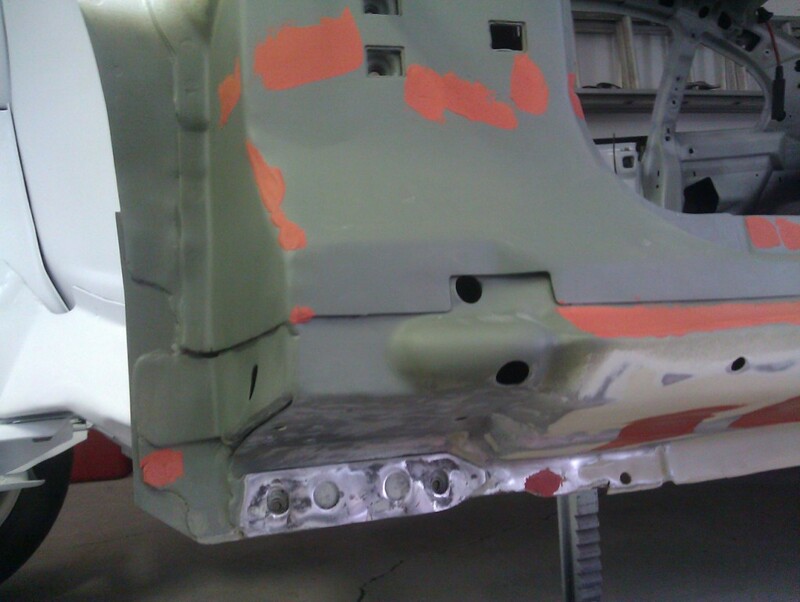 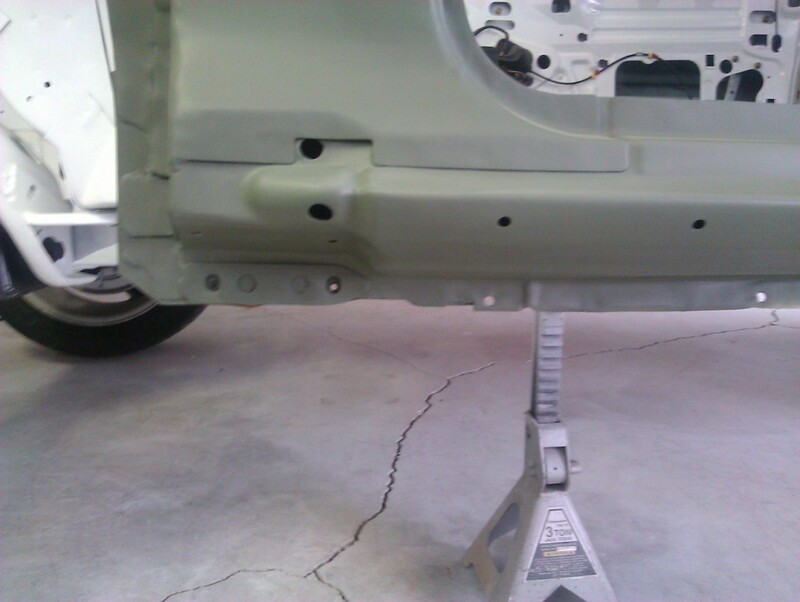 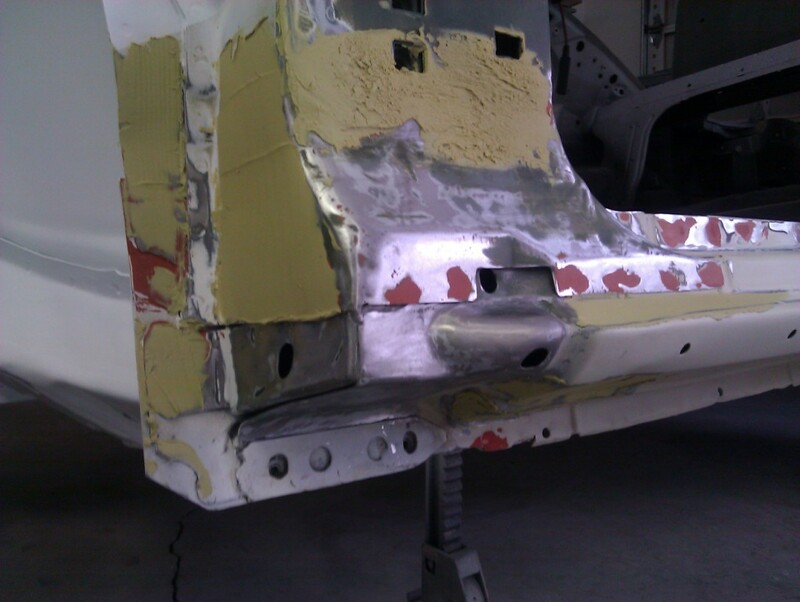 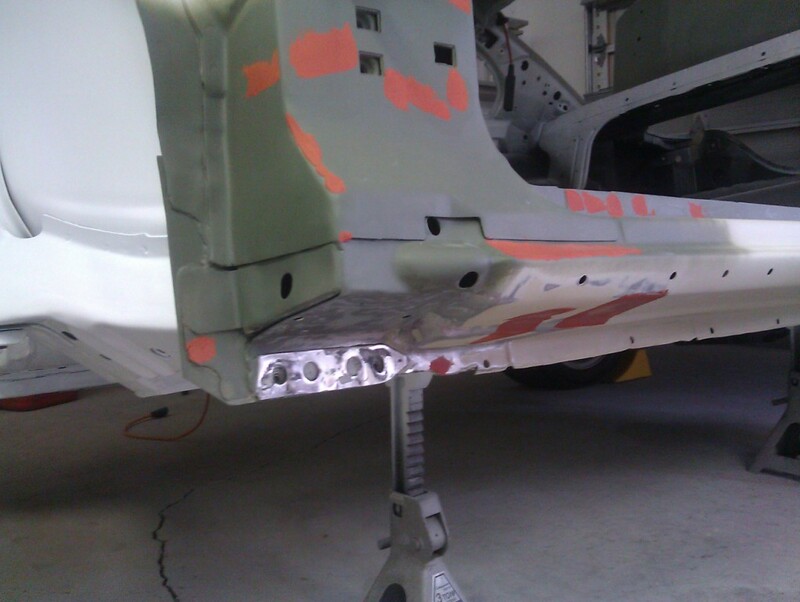 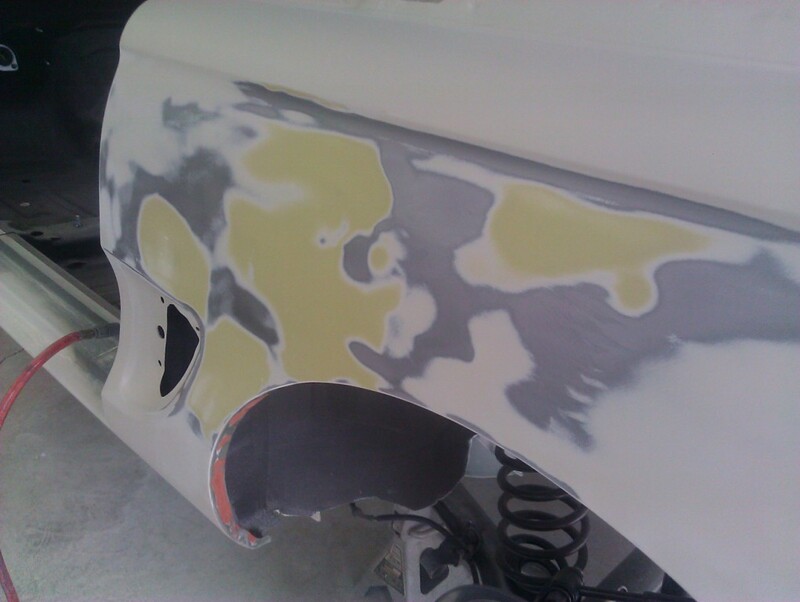 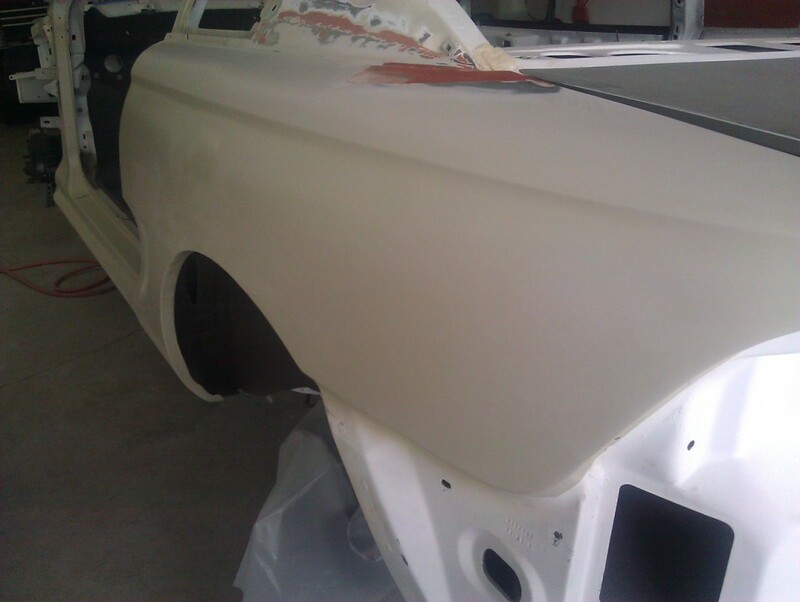 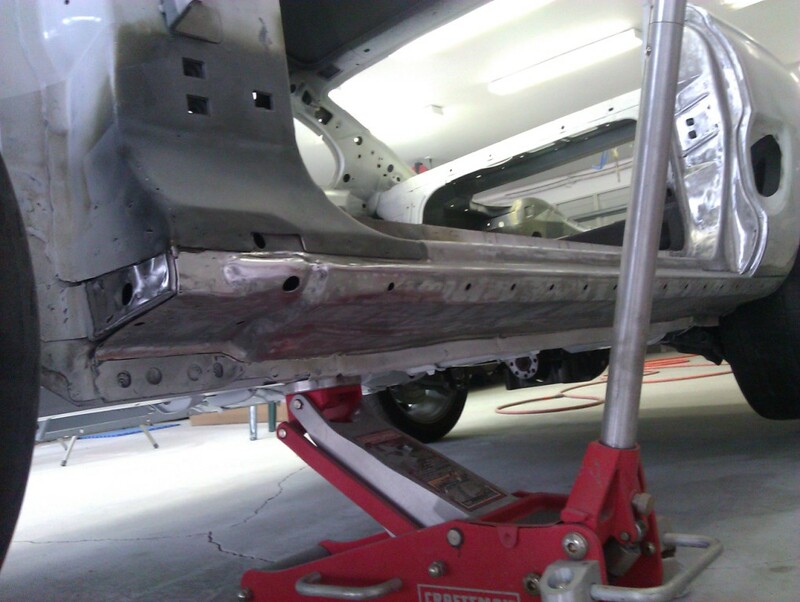 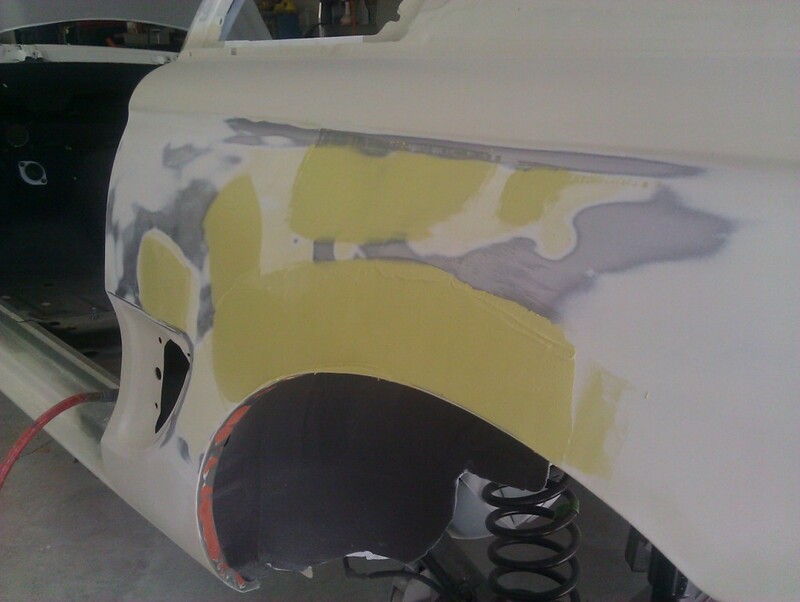 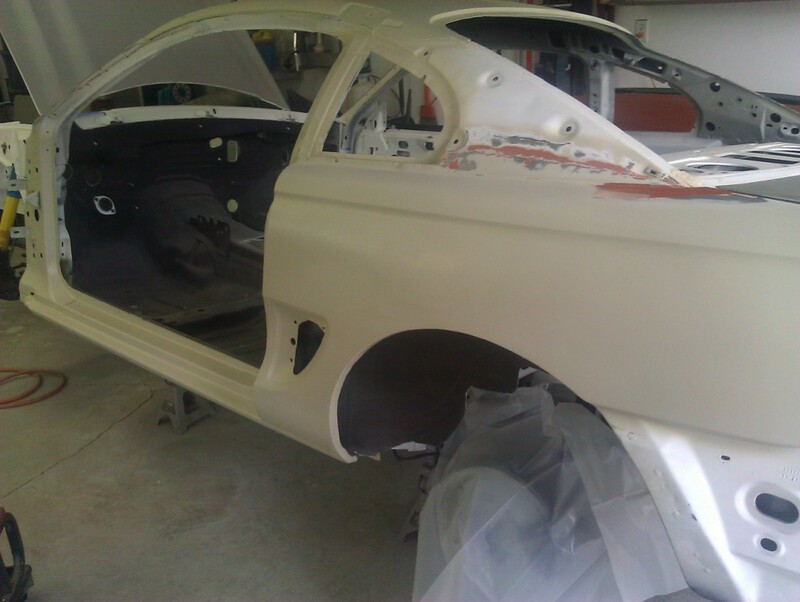 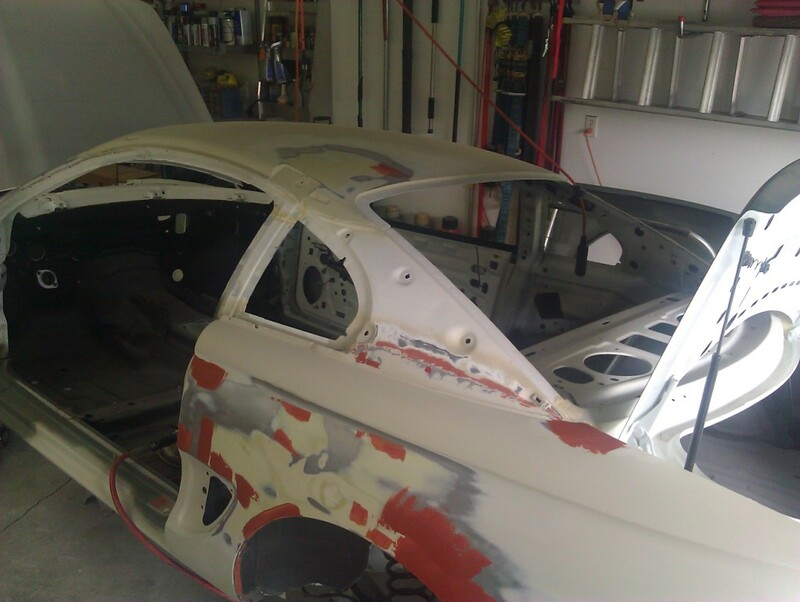 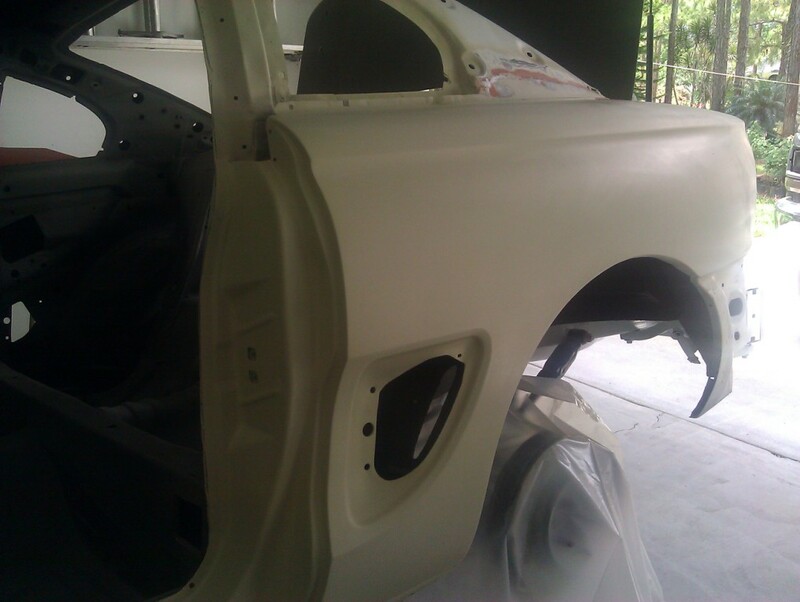 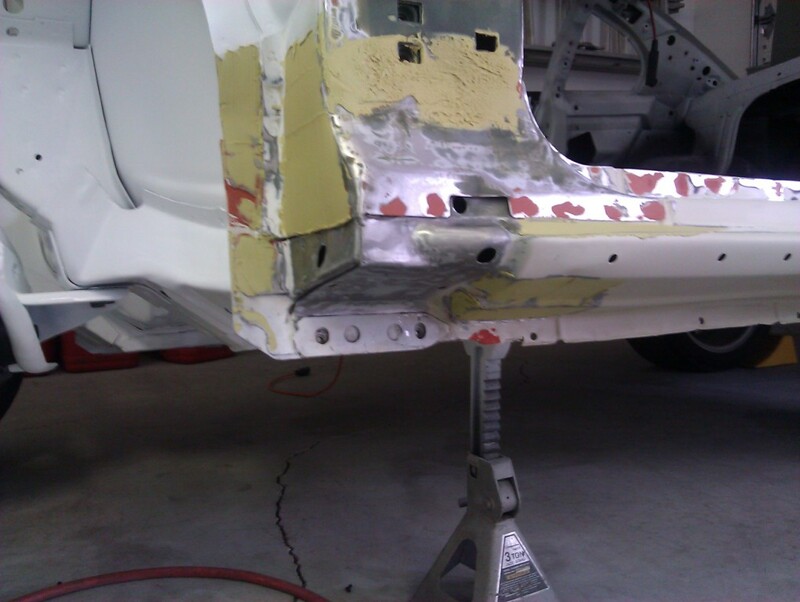 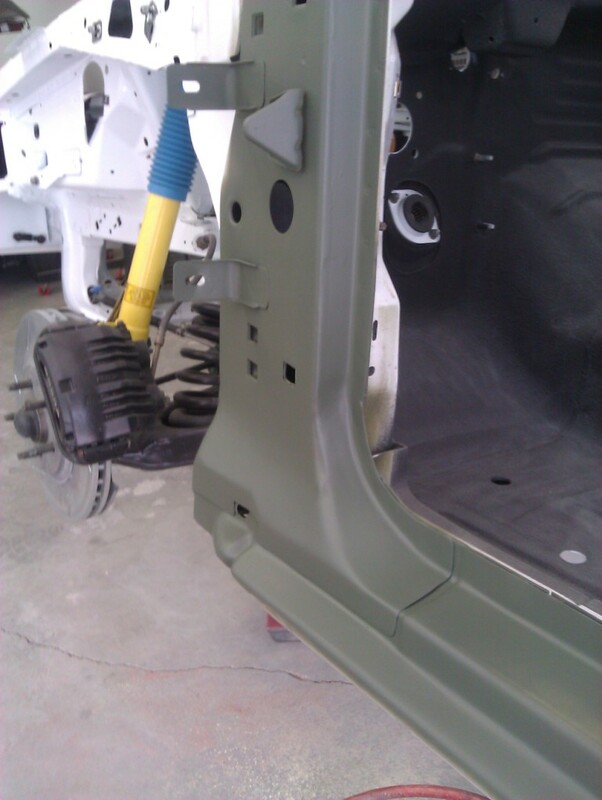 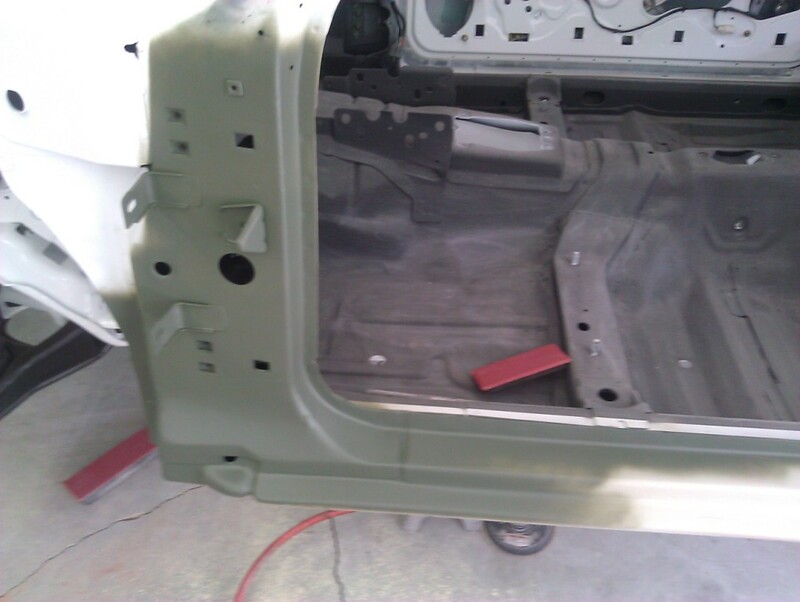 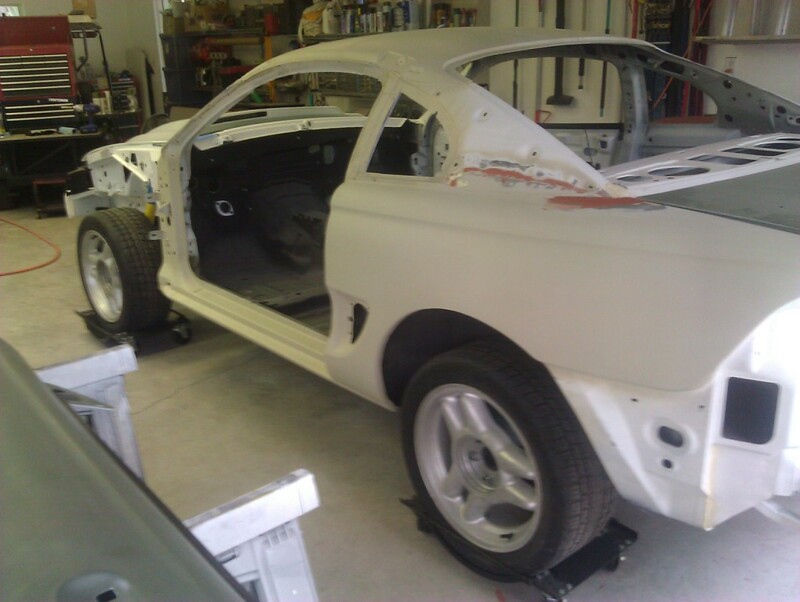 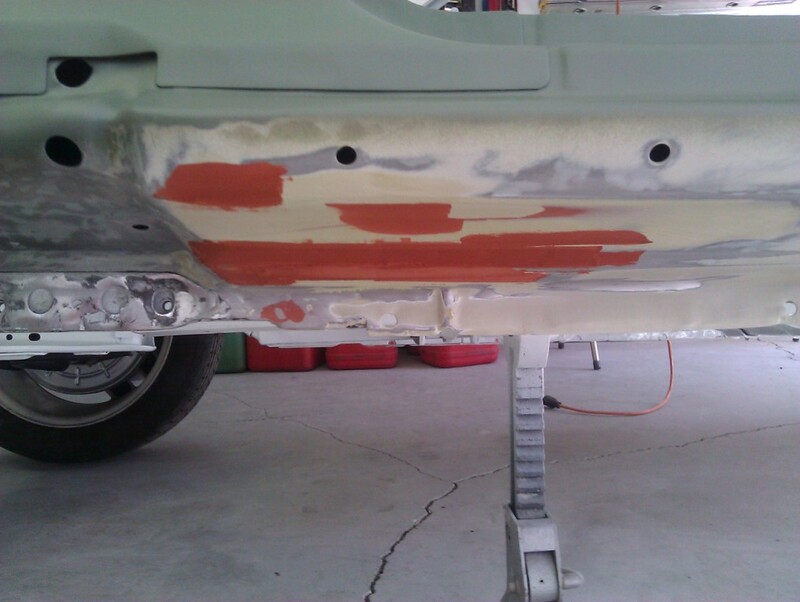 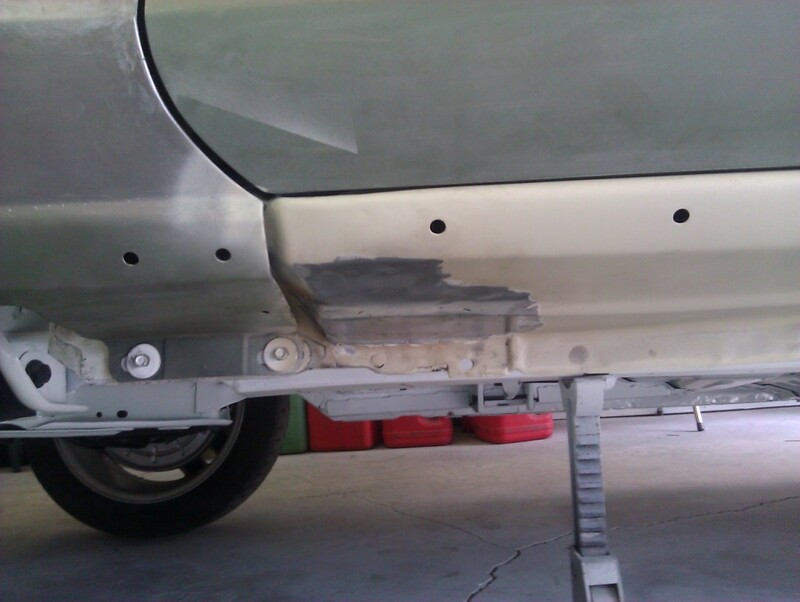 Repairing the rocker panels was also one of the reasons why the quotes for body and paint on the car were so high. 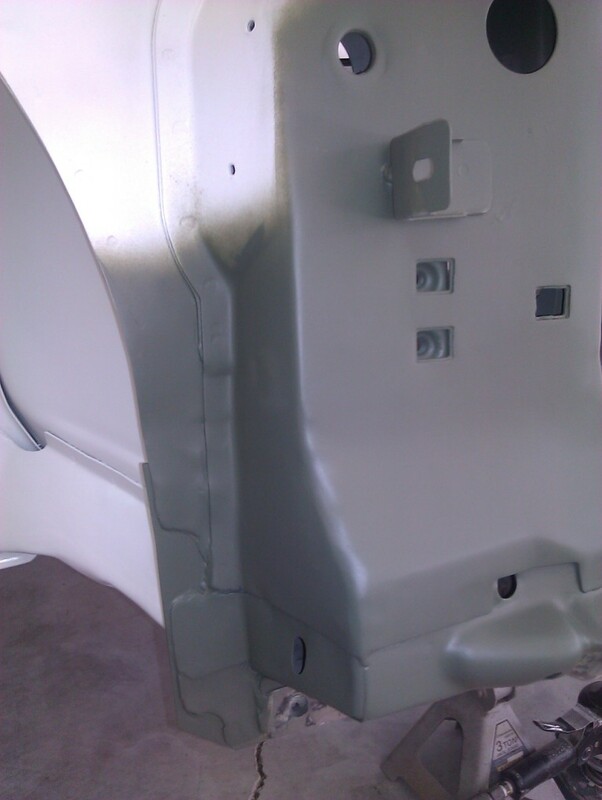 With the drivers-side rocker needed less repair, I decided to tackle that job first. 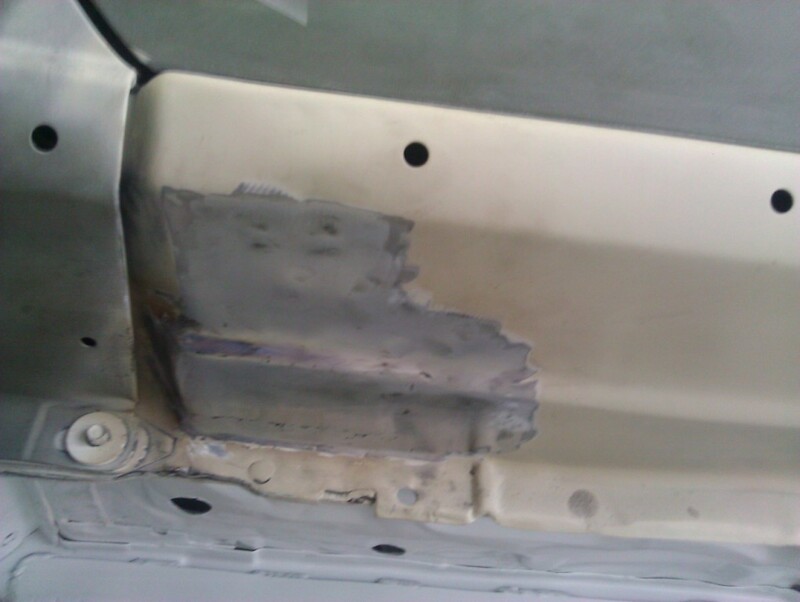 Here are a couple of pictures of the area with the damage. 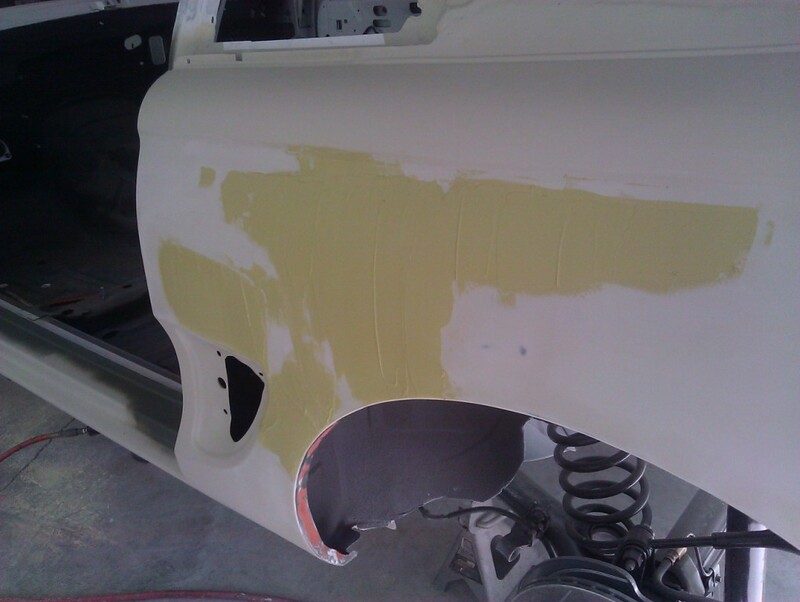 I began by cutting-out the worst of the damaged area. 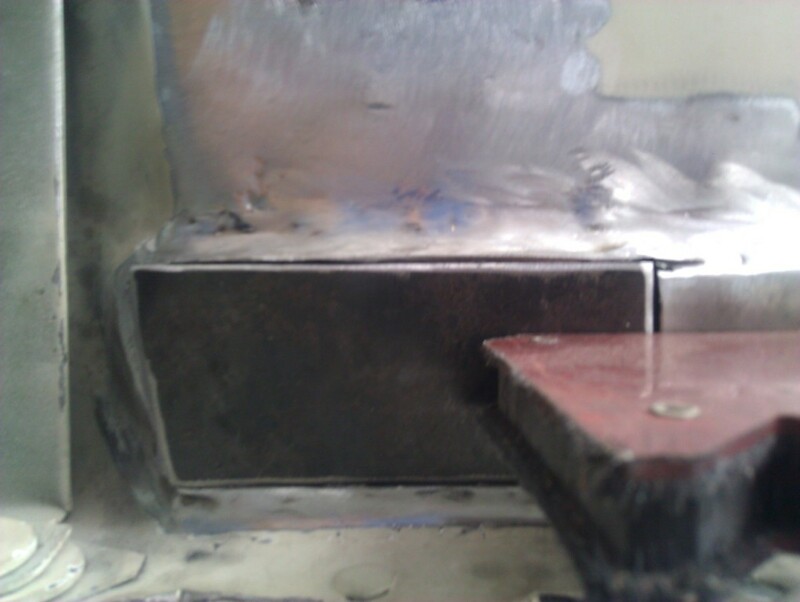 Then using some sheet steel, I fabricated a replacement piece and welded it into place. 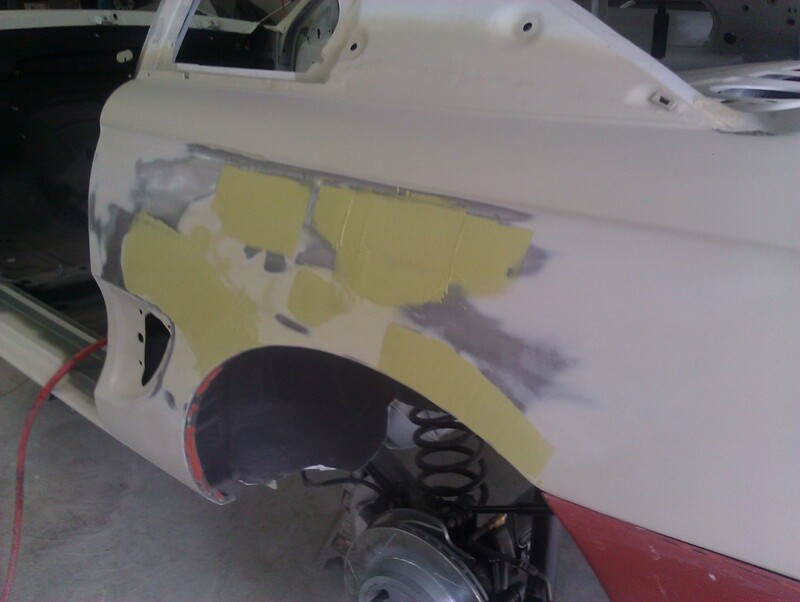 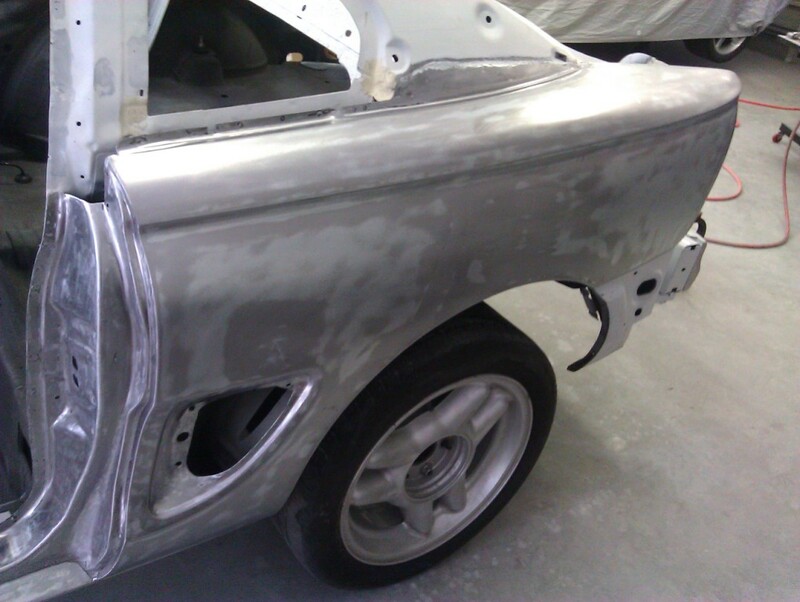 After that, it was just filler, sanding, spot-putty, sanding and primer. 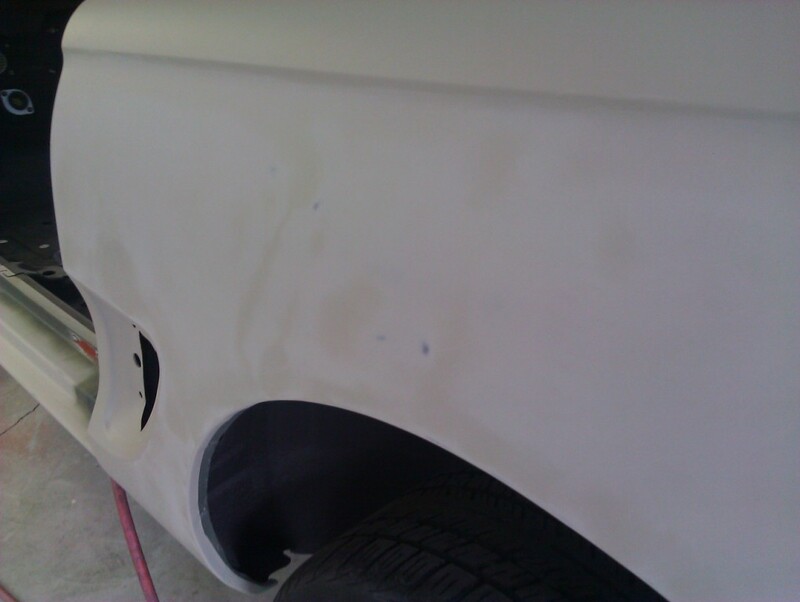 I knew when I purchased the car that the drivers-side quarter panel had had some poorly-done prior repairs. 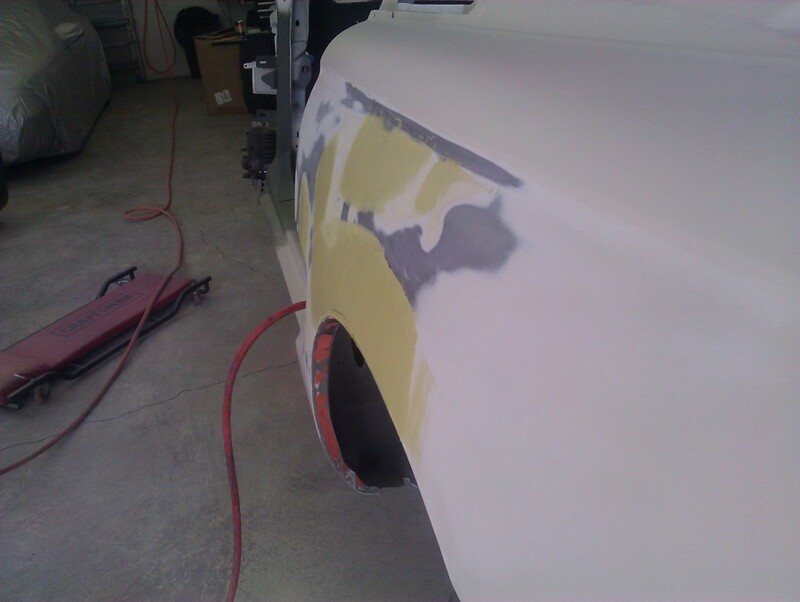 The paint was cracking in several areas around the wheel opening. 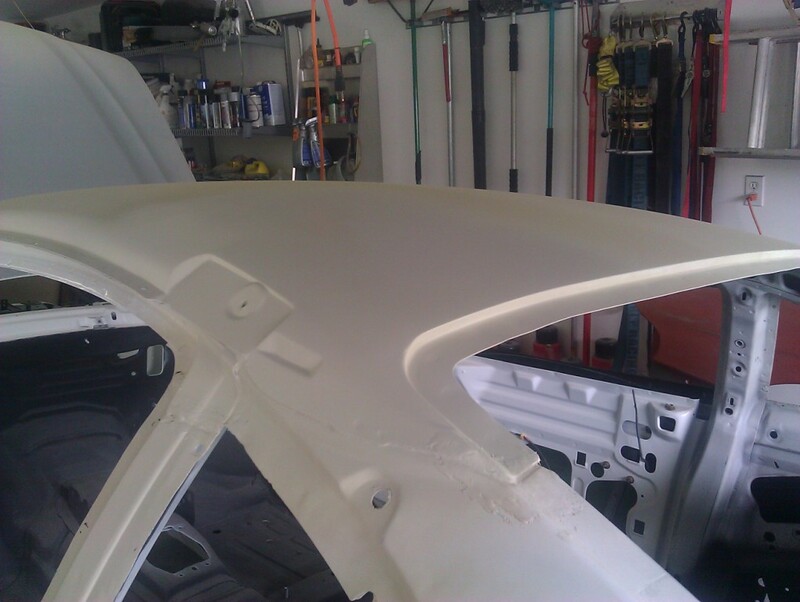 When I stripped off the paint and layers of bondo, I had one wavy panel. 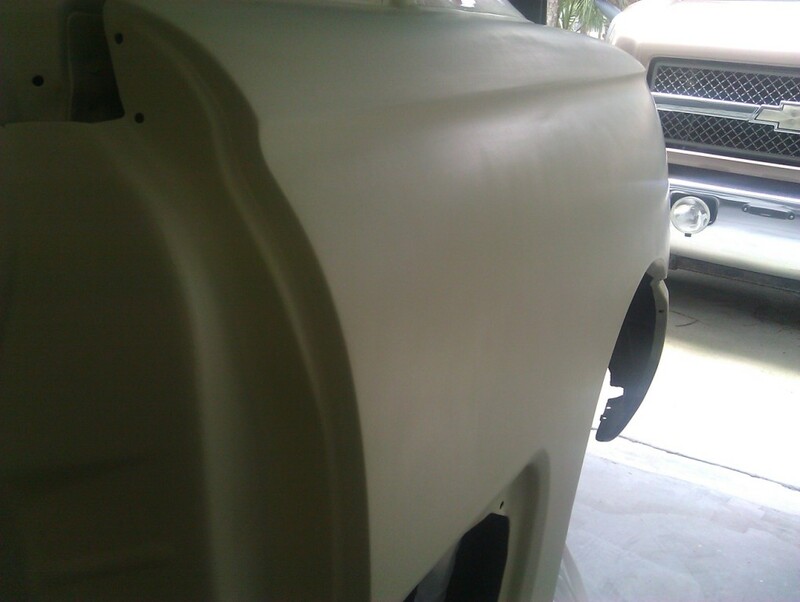 After several rounds of filler, sanding & spot-putty, I put on another coat of epoxy primer. 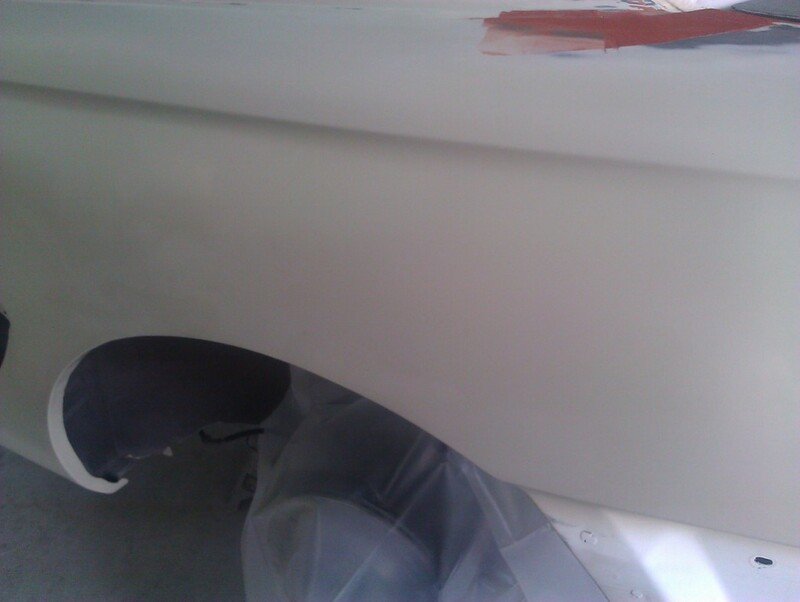 It will still need more blocking with filler primer for a glass-smooth finish, but I'm very happy with the result. 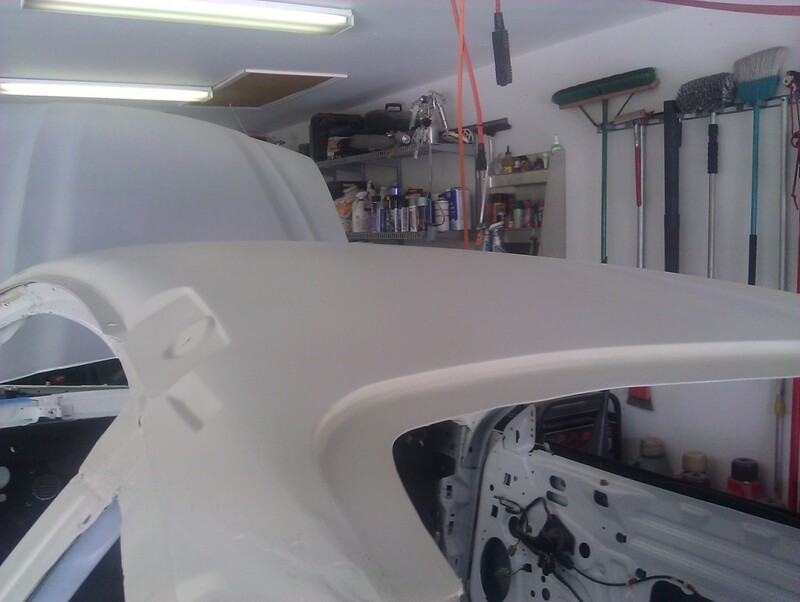 I also filled in the dented roof area.